As the rabid Red that I am, I also want to note that Robert Parry is not someone whom I would call (or who, I think, would have called himself) a "leftist," let alone a "socialist." I winced a little whenever I read him giving Obama such generous credit for good intentions. He was, I would say (and I think he would have), a liberal. He is also someone who worked according to the journalistic ethic of principled intellectual honesty that liberalism claims to represent. In the outpouring of shock and sadness from leftists like myself—who, it’s clear from that outpouring, followed him with immense respect—I think we’re recognizing him as one of the last of the honorable liberals. Seeing him go is like watching the death one of the last magnificent individuals of a dwindled breed that was always smaller than it seemed. I recommend to everybody, especially those who don’t know Robert Parry, to go forthwith and listen to Parry’s conversation on Gary Brecher’s Radio War Nerd podcast (starts at 33:30 in the stream). It’s a long interview, but it's amazing—a full course in American political and media history of the last forty years. Listen to it in segments if you have to. 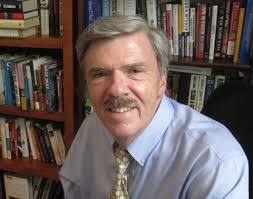 Listen to Robert Parry in this interview, and you'll see how American journalism and media really work, the constraints that come from the top on a regular basis, and why Parry and journalists with his level of integrity are thrown out of, or have to leave, the mainstream media to do their reporting honestly. You’ll learn about the many important stories that Robert Parry broke, which too many Americans today have never heard, or been induced to forget: the Iran-Contra-Drugs connection; the Reagan campaign's "October Surprise" collusion with Iran to keep US hostages in Iran until after the 1980 election; and the Nixon campaign's collusion with South Vitenam to sabotage the Paris Peace talks and prolong the Vietnam War. These were stories, backed with multiple inside sources, of truly treasonous collusions with foreign governments to undermine the U.S. government’s foreign policy, at a horrible cost to Americans (the 52 American hostages in Teheran and the 500,000 American soldiers in Vietnam). These stories were quashed and/or ridiculed and dismissed by the establishment media that is now shoving the thin Russiagate gruel down our throats, 24-7. Indeed, as discussed in this conversation, these stories were buried by the Democrats who were the targets of these machinations, and who preferred to suffer the damage they caused, including losing presidential elections, rather than let the public see things that might upset their faith in establishment rule. In 1968, Lyndon Johnson knew—He had the FBI surveillance tapes!—the Nixon campaign was conspiring with the South Vietnamese government to sabotage the Paris peace talks. He knew it, and he called it “treason”—to Republican Senator Everett Dirksen, who, along with many others in Washington, also knew it. But Johnson refused to reveal it, “for the good of the country”—i.e., for the sake of maintaining confidence in the system. And maybe also because he didn’t want to reveal that he had the FBI surveilling a political campaign. Really, the whole “shocked, shocked” pose about the vaporous Russiagate story depends on Americans’ complete ignorance of the history of both parties’ accepting and hiding multiple instances of irrefutable collusion with foreign governments, with life-and-death consequences. Their complete ignorance, that is, of the journalism that Robert Parry was doing. So listening to this conversation will also make clear how important an uncensored internet is, and how disgraceful it is for a site like Parry’s Consortium News—a pioneer project of alternative media since 1995 (like Counterpunch two years earlier)—to be attacked as "Russian propaganda" by the execrable PropOrNot group promoted by the Washington Post. The job of “guiding” the thoughts of the American people is now being taken up by a creepy consortium of mainstream media organizations (Washington Post, New York Times, major networks) and internet social media “super-states” (Facebook, Twitter, Google), which will try to enforce the guidelines of thought set forth by their guiding-light state powers (U.S., Israel). Orwellian “counterspeech” squads (20,000 strong on Facebook alone! ), using the beyond-Orwellian tool of the algorithm—the sidearm of what Chris Hedges calls the twenty-first-century thought police—will comb the world-wide world, averting our eyes pre-emptively from "divisive" talk and "competing narratives" to “more authoritative content.” You won’t even see what hasn’t hit you. For twenty-three years, Robert Parry, with his Consortium for Independent Journalism, has been the exemplar of the independent thinking this pernicious program seeks not just to attack, but to make invisible. He’s helped us build defenses and alternatives that can stand up to it, but it’s going to take constant work and vigilance to keep that work going. And we are going to miss his steady hand. The unpleasant reality that the past year has brought home to me is that a shockingly small number of people in Official Washington and the mainstream news media actually believe in real democracy or the goal of an informed electorate. Whether they would admit it or not, they believe in a “guided democracy” in which “approved” opinions are elevated – regardless of their absence of factual basis – and “unapproved” evidence is brushed aside or disparaged regardless of its quality.